Concern has been registered by the renewable energy industry and green policy supporters alike over the issue of will the Green Investment Bank sell-off by the UK government, continue its Social Purpose? The purpose of the GIB when created by the Conservative – Liberal Coalition Government was to provide finance to the renewable energy sector projects which other institutions were (and still are) difficult to fund due to perceived high business viability risks. Many would say that privatisation may be no bad thing, as long as the GIB does continue its Social Purpose. However, the Liberals and green groups see it as nothing more than a cynical move by the Conservative government to make a profit on the sale, and cut-and-run in a way that is environmentally irresponsible. 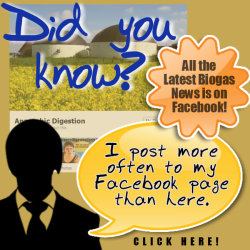 Watch the following video to view the content of this article, rather than reading it. The Green Investment Bank (GIB) must maintain its social purpose the Renewable Energy Association, says, following the closure of the sale to Macquarie Group. The renewables industry urges the new Bank owners to maintain its “social purpose”, namely to help mainstream new technologies that will decarbonise the energy sector and build new industries. James Court, Head of Policy for the Renewable Energy Association said: “As we have seen with wind and solar, renewables are now cost competitive following government support and industrial innovation. “Prices have come down massively after being deployed at scale and we still believe there are more technologies that have a huge future if backed. The new owners should continue the Bank’s aim of providing finance to early-stage innovative technologies. “Deep geothermal is a good example of new technologies that the bank can support. Britain has plentiful geothermal resources and the potential to develop an industry, particularly in Cornwall, but a lack of historic projects means that the existing investor community hesitates to provide funding. “We expect that the on-going Government CfD auction for “less developed” renewable energy technologies, which closes today, will highlight the amazing diversity and cost reductions of new systems that are coming onto the market. Support such as that the Bank can provide is vital if emerging technologies are to deliver on their potential for jobs and lower energy costs. The £2.3 billion deal ensures that all the taxpayer funding invested in GIB since its creation, including set-up costs, has been returned with a gain of approximately £186 million, the Government says. 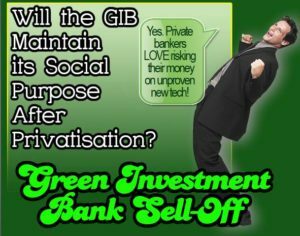 3 Responses to Will Green Investment Bank Sell-Off Continue Its Social Purpose? Hi! Nice article, but will Green Investment Bank Sell-Off Continue Its Social Purpose? Not likely, is it? The is a point here. If green truly works, the punters that invest in this bank will make good money. Word will get around, and the Green Investment Bank will continue to invest in green projects. IT’S CALLED THE CAPITALIST SYSTEM. But, any thing can occur and that is unpredictable.